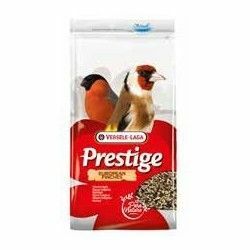 This wet food for cats is noted for its high quality and its fresh ingredients. 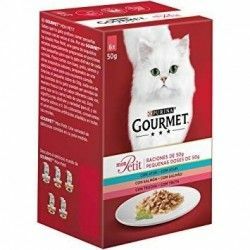 It is intended as a food supplement for special moments and you will love to your feline.Gourmet Gourmet Diamant offers a menu of luxury special. With its delicate taste will convince the cat more demanding. Regardless of the variety you choose, all of the menus incorporate fresh ingredients of high quality and have an exquisite look. 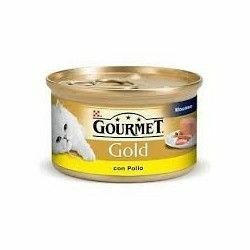 Thanks to the practical cans, you can prepare the portions with just the right amount for the individual needs of your cat. Amount recommended: alimentary Complement for cats. An adult cat (approx. 3.5 kg) need for a day in a tin (max. two), in addition to food full of Gourmet. Adjust the main meal according to the specific needs of your cat. Serve at room temperature.